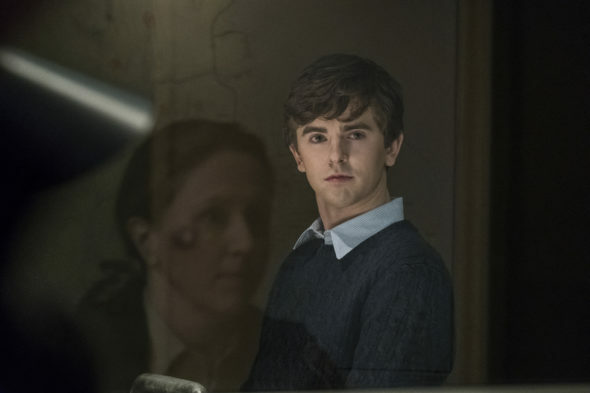 Although Bates Motel just concluded on April 24th, after five seasons on A&E, Freddie Highmore is already headed back to work. ABC has ordered The Good Doctor TV show to series, starring Highmore as Dr. Shaun Murphy. The Good Doctor cast also includes Antonia Thomas as Dr. Claire Brown: Nicholas Gonzalez as Dr. Neal Melendez; Chuku Modu as Dr. Jared Kalu; Irene Keng as Dr. Sarah Chen; Beau Garrett as Jessica Preston; Hill Harper as Dr. Marcus Andrews; and Richard Schiff as Dr. Aaron Glassman. The show centers on young surgeon Shaun Murphy (Highmore of “Bates Motel”), who has autism and savant syndrome. He leaves behind a quiet country life to join a renowned hospital’s surgical unit, where he butts heads with his colleagues. What do you think? How do you like the cast of The Good Doctor TV series? Will you check it out when it premieres on ABC? More about: ABC TV shows: canceled or renewed?, Bates Motel, Bates Motel: canceled or renewed?, The Good Doctor, The Good Doctor: canceled or renewed? I haven’t seen a mention yet about the K drama “Good Doctor” that this seemed to have spawned from. Even opening scenes of him introducing himself as a dr after saving a life is the same. You bet! I am still a huge House fan and think Freddie Highmore is very talented. Yes, definitely !!! Looking forward to it. I think Freddie Highmore is an amazing actor ! Do you know when it starts? I totally agree. Yes, I’ll certainly watch. I’m missing Bates Motel already and hope a lot of that cast also get new shows. But Freddie was the best. No. It’s a waste of talent on another doctor show. I hated to see Bates Motel end but I will give this new show a go to see how I like it. Not a show we will watch. NO! bring back the good shows you just canceled. I’ll not be watching any more ABC shows. The only ones worth watching, you cancel (Last Man Standing!!! !, Catch!! !, Notorious, Conviction). I haven’t heard about Scandal yet, but the story lines on that once good show just aren’t believable, so you might as well cancel it too. Another show about a doctors…and people complain that there are too many shows about zombies. I know, have met or have seen many doctors, and trust me, zombies are much more interesting.